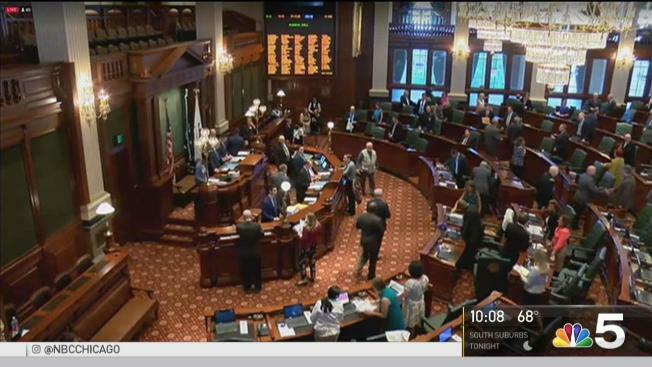 State legislators are meeting this holiday weekend in Springfield as they try to come to an agreement on a new budget, but one of the Democrats’ key initiatives is reportedly in big trouble. According to NBC 5, , Democrats held a caucus on Sunday night in Springfield, and only 46 representatives are planning to vote for a tax hike that the Senate passed last week. In order to pass the legislation out of the House, 60 votes would be needed, leaving Democrats well short of that mark. Governor Bruce Rauner has already expressed opposition to an income tax hike, saying that he will not consider any type of hike unless it is accompanied by a freeze on property taxes in the state. The deadlock over the tax hike is just one part of the budget drama, as legislators will need to come to an agreement by May 31. If they are unable to reach an accord, then the legislature would have to put together a two-thirds vote to pass any budget legislation, leaving open the possibility that the state could enter a third year in a row without a budget. With that deadline looming, legislators fired verbal barbs at each other during Sunday’s session in Springfield. “It’s no time to be playing games with people’s bills, especially this budget bill,” State Rep. Linda Chapa Lavia (D – Aurora) said during Sunday’s meeting of lawmakers. Republicans responded to those statements, saying that Democrats have no interest in forging any bipartisan consensus on a bill. “Democrats are not interested in bipartisan support on what we should be doing with taxes,” State Rep. Jeanne Ives (R – Wheaton) said.